Hi pals! When we last met, I was still in recovery from some minor eyeball surgery and hoping to be back in full swing in time for Christmas. Well, as it turns out, there’s a minor complication requiring me to go back under the knife this coming Thursday. Nothing serious, just, you know, can’t see out of my right eye since blood ain’t clearing out of it. But I was warned beforehand that this was a possibility, so everything should be fine. It just has to be done, so dood it I will. But thanks to all of you for your well wishes and kind words, and Progressive Ruin Industries will be up and running again in short order, processing that comics-related product that you’ve grown accustomed to over the last decade and a half. In the meantime, I will have a special Christmas post up tomorrow…in fact, it’s already put together and scheduled to publish, so it’s too late to stop it now. And I’ll have the annual “gimme your comic predictions for next year” post up Wednesday, so warm up your clairvoyant powers for that. And then, most likely, the rest of week I’ll take off, but I plan to be back the following Monday. Ah, well…something to look forward to after the surgery, I guess. Anyway, thanks for reading, and I’ll meet you all back here tomorrow and Wednesday. 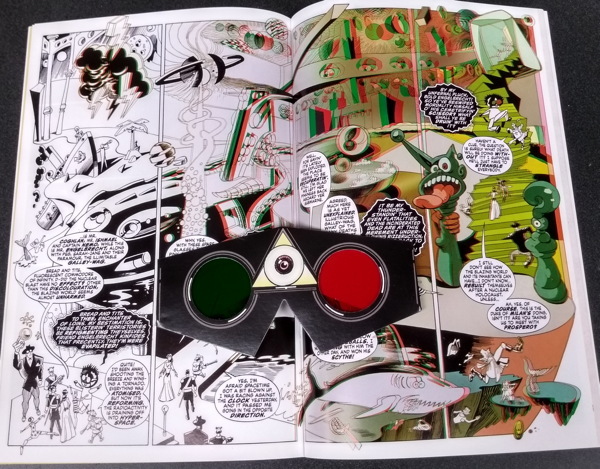 I should note the passing of Brian Snell, the person behind the Slay, Mostrobot comics blog. 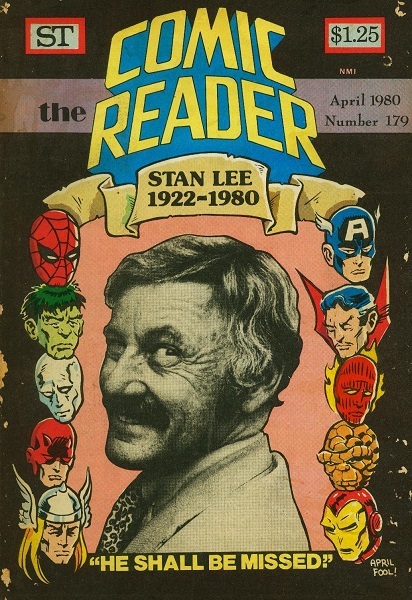 He clearly loved the comics medium and had many people who appreciated and supported the work he did expressing that appreciation on a daily basis. My condolences to his friends and fans. So one of the victims of my part-week blogging break was no birthday post. 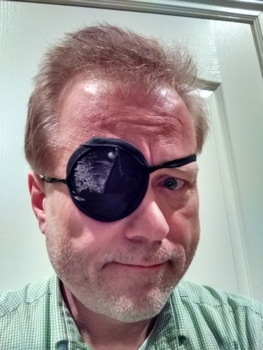 Yes, that’s right, your pal Mike just began his last year of his forties this past Tuesday…the warranty’s long expired, the creaking frame continues to bow, and the decay continues apace. I did mention the occasion on the Twitters, however, and received some very kind response there (as well as wishing birthday-and-blogging-brother Andrew a happy day). You can find the original image he used on this page of nightmare fuel. Oh, and by the way, now that I can make GIFs I may need to revisit that last pic. 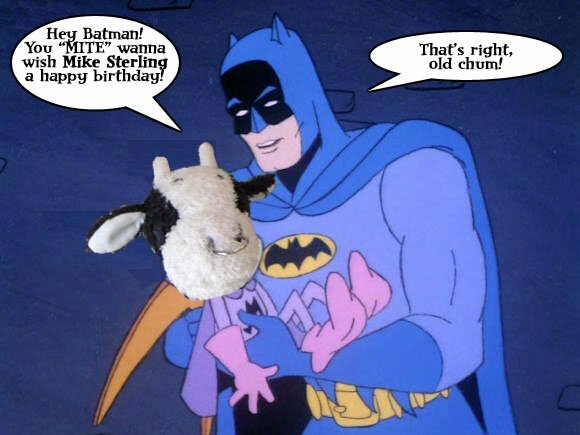 Oh, and Tom Spurgeon over at Ye Olde Comics Reporter also noted the occasion, as he does every year. Thanks, Tom! What I’m remembering is a panel from a Star Trek comic, maybe in the first DC series, or possibly the second run, where mention is made of Captain Kirk’s 49th birthday. However, and the reason this has stuck with me all this time (assuming I’m remembering it correctly at all) is that the “49th” in the comic had very obviously been relettered just prior to going to print, and almost certainly read “50th” originally. I mean, that was my presumption, in that they probably wouldn’t be making any kind of big deal out of a 49th birthday for story purposes. I remember guessing they were likely saving a 50th birthday story for some bigger event, or someone at the main Trek headquarters decided that they didn’t want Kirk to be that old, or some darned thing. I hunted through my Trek comics for the scene, and couldn’t find it…I still have full runs of both series (didn’t give ’em up to my store!) plus all the specials and minis and whatnot, so if it actually exists, it’s in there somewhere. But, like I said, at this point I’m even sure it was in a Trek comic and involving Kirk. If you know, please share your knowledge! I mean, that has to be deliberate, right? 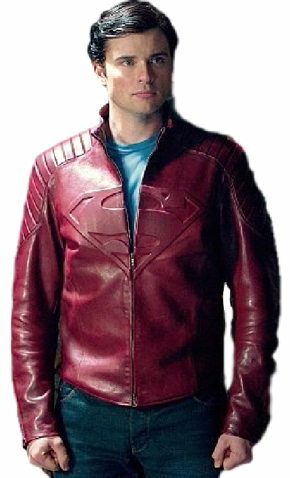 Aside from all that…despite my initial skepticism regarding the show (“It’s about Superman’s grandpa?”) I’m actually intrigued, particularly now that I know about the time travel element and the inclusion of DC’s classic space hero Adam Strange. 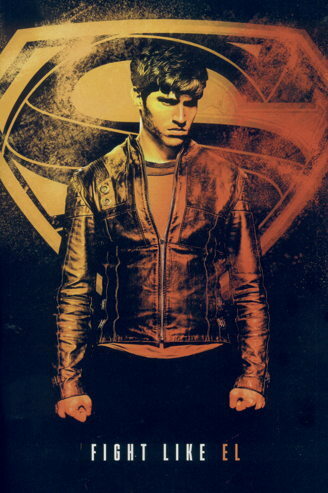 I may be one of those “wait to binge it on streaming” guys, since I’m way behind on everything as it is, but I’ll at least try to catch the first episode. 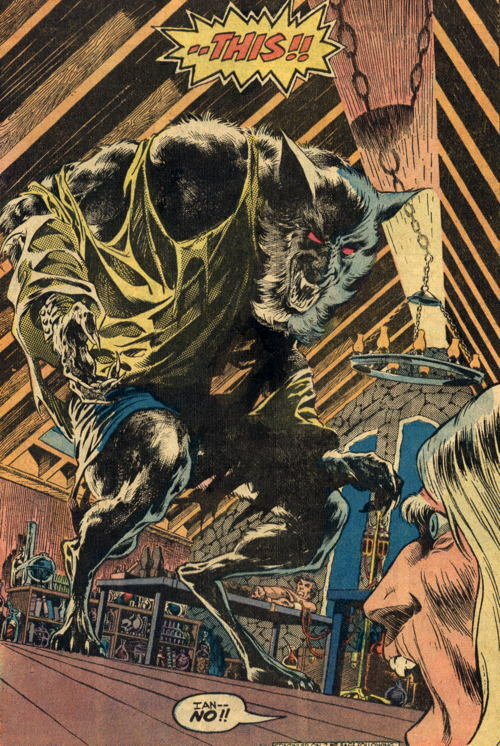 …There better be at least one Thought-Beast on the show, that’s all I’m saying. 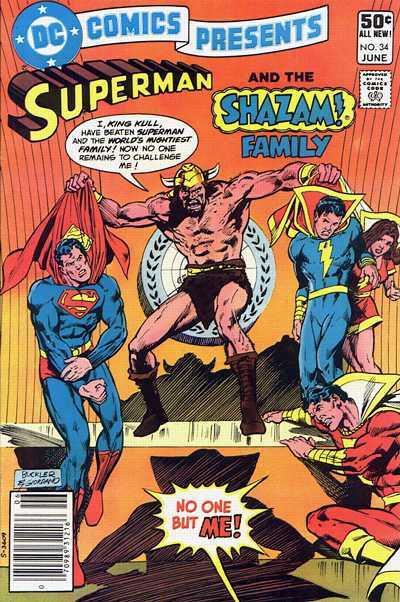 Oh, that World of Krypton comic, by the way, is a reprint of the first issue of the mini-series of the same name from the mid-ish 1980s by John Byrne and Hellboy creator Mike Mignola. 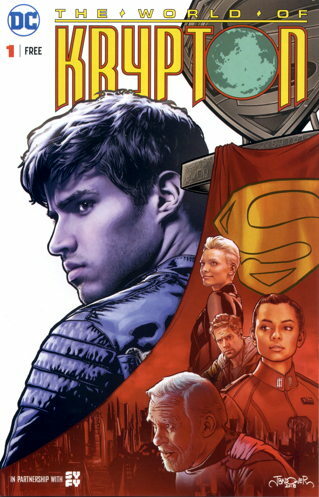 If you’ve never read it, it’s not bad…and if you like it, the entire series has been very conveniently reprinted in a World of Krypton trade paperback released just a week or two ago (along with other Krypton-based stories). …though it was suggested having one of his old movies/TV appearances on a television screen might be a good reference for those in the know. But…c’mon, a New Gods movie. I can’t wait. I wrote a bit about that book a couple of years back…man, I spent I don’t know how many hours perusing that tome. And there it still sits on my bookshelf today, nearly forty years after I first acquired it. 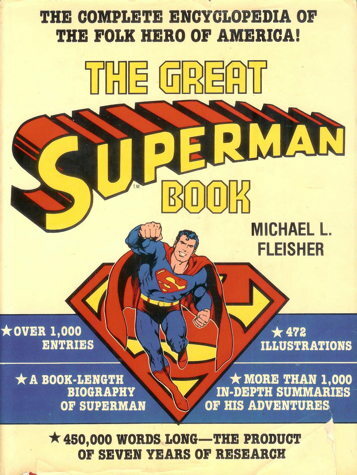 Thanks, Michael, for all that entertaining information you provided a young me, just beginning to learn about Superman’s history. Len Wein (1948 – 2017). And so soon after losing Bernie. 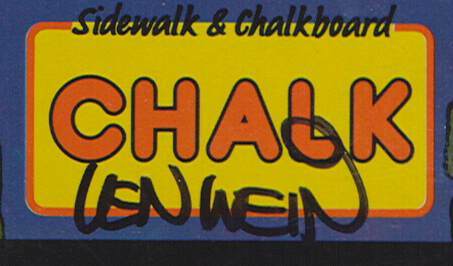 And like his most famous artistic partner, I am sure Mr. Wein still had so many great stories left to tell that we’ll never get to see. 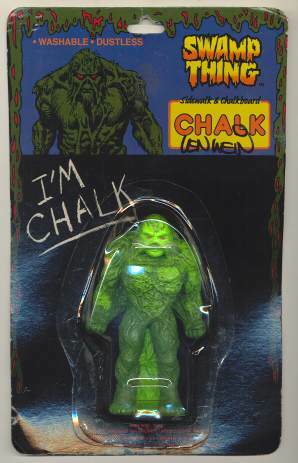 I believe I even saw a recent interview or ‘nother where he was talking about still writing even more Swamp Thing after his recent return(s) to the character. 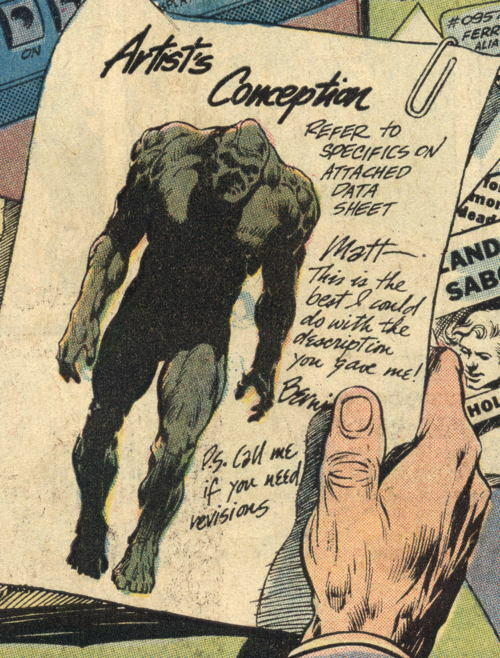 I know I had my criticisms of the last mini-series, but dangit, this was still new Swamp Thing written by the co-creator and I would have welcomed more. 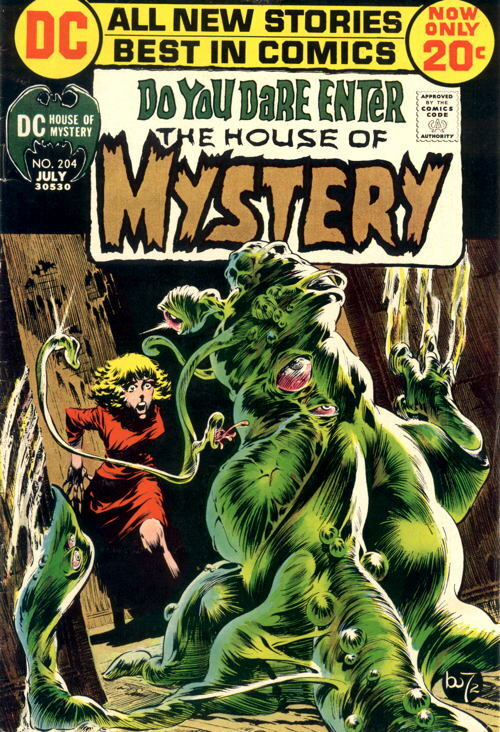 And yes, I know he did much more than Swamp Thing, though, if you’ve been hanging around my site long, you know that’s my favorite of his work. 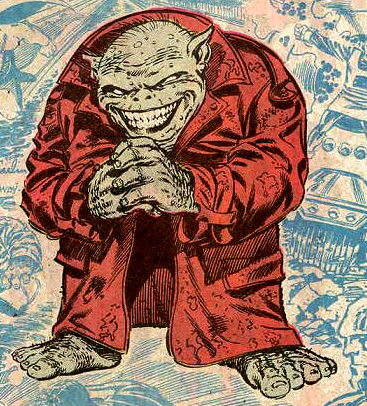 He had a…comfortable narrative style in those early Swamp Thing s, one that pushed along the plots while simultaneously evoking the necessary dark moodiness of the stories’ settings and events and digging into the psyches of the characters and paying heed to the necessities of (semi-)monthly serialization. It’s a difficult balance to maintain while still making it all so accessible and fresh and seemingly effortless, and one I’m beginning to re-appreciate as I plow through those comics in detail in my ongoing project to reread and examine each issue. 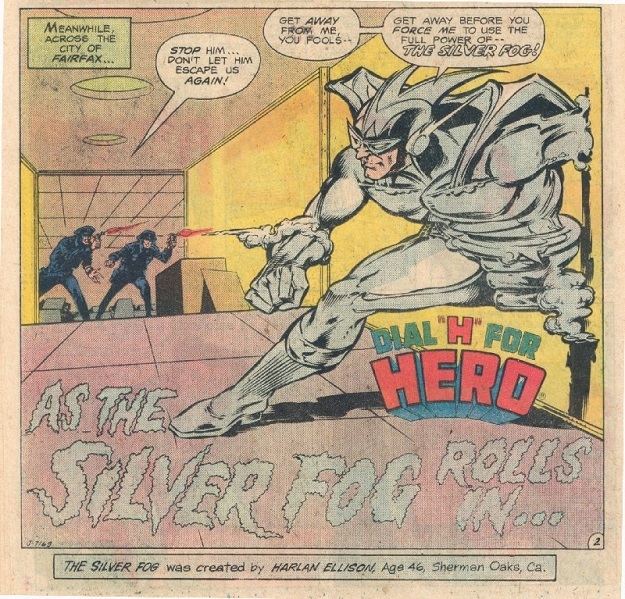 Wein has left behind an enormous body of stories and creations, the most famous of which being Wolverine, introduced as an antagonist in some mid-1970s issues of Incredible Hulk …and of course Wein wrote the reintroduction of the X-Men shortly thereafter, bringing in Wolverine and cocreating new additions to the team (such as Storm and Colossus). Wein also wrote what seemed like every other DC comic I read as a kid, which is an exaggeration I’m sure, but not much of one. 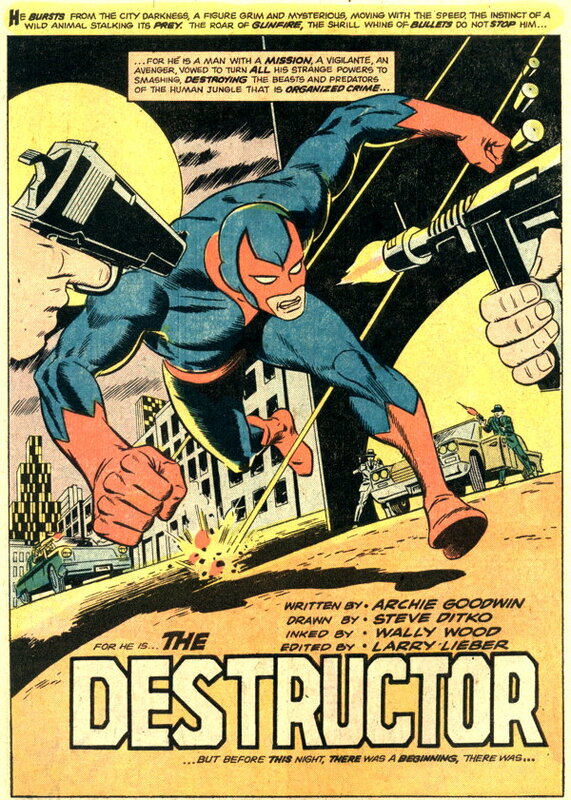 I can still feel how blindsided I was after reading “Whatever Happened to the Crimson Avenger?” in DC Comics Presents #38, which I thought would be just another in that “Whatever Happened to…” series of entertaining but not terribly significant back-up stories in that title, only to get hit with a serious emotional whammy regarding a character I previously hadn’t thought much about. One of Wein’s later works was the mini-series DC Universe: Legacies , which was a fun ride through (and sort of a last hurrah for, with the New 52 looming ahead) the extensive history of DC’s superheroes. That just sort of let Wein do what he did best: play with DC’s army of characters and put ’em through some entertaining paces. 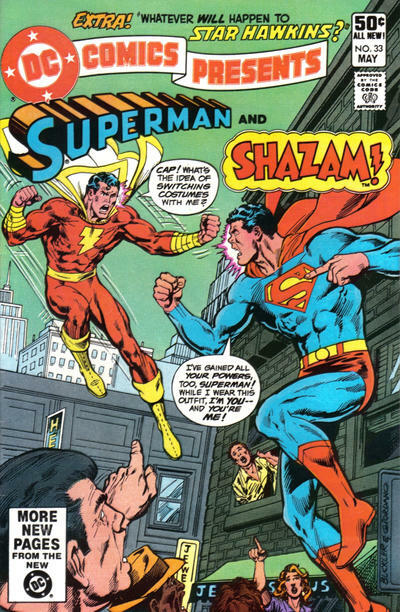 And that’s what Len Wein did: he wrote stories for pretty much every character DC and Marvel had, and always came through with something fun to read. Didn’t even scratch the surface of everything he’s done (well, okay, Wolverine, X-Men, and Swamp Thing are pretty deep scratches) but he was one of the primary building blocks of what made comics Comics for pretty much my entire life, and I’m going to miss seeing new work from him. But thankfully, he left plenty of work behind that we can continue to enjoy. Still makes me smile every time I see it. Adam West (1928 – 2017). I know Adam West did more than just Batman, but it’s Batman he’s going to be remembered for…and not just any Batman, but Best Batman. 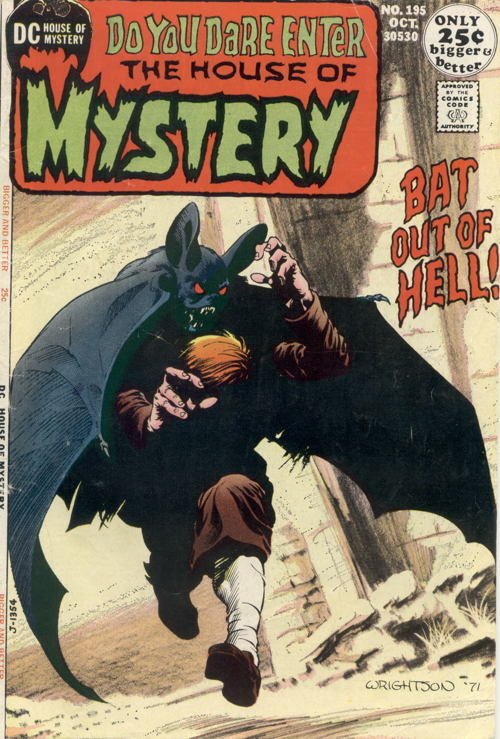 It’s been pointed out by many others how great it was that the ’60s Batman TV show was “rediscovered,” and that Mr. West, in his later years, got a whole new rush of appreciation for his landmark role…and a whole lot more work, too! By all accounts he was a good guy with a sense of humor about his relationship with the Caped Crusader, and I’m glad he got to hear from an enormous amount of people how much he meant to them. That image above is a screenshot from an 11-year-old post of mine…I posted it to my Twitter, but wanted to repost here as well. 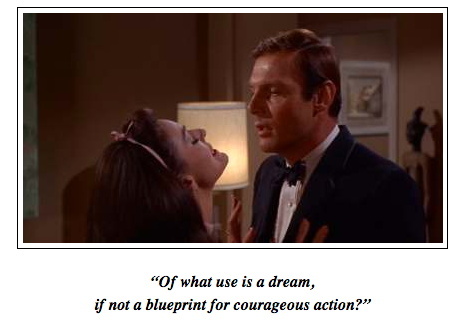 That’s from the 1966 Batman theatrical film…it’s a great line, and the perfect statement of purpose for West’s Batman. Sometimes people just remember the silliness and the POWs and BAMs, but there was this occasional moment of truth as well. 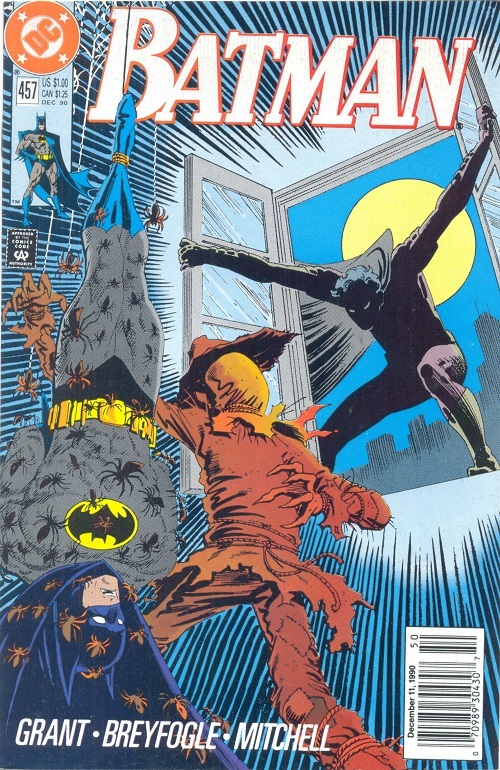 I’ve written a bit about the Batman TV show in the past: here’s a defense of the show in the context of differing approaches to Batman; I look at one of its tie-in products; Batman sets a young man on the straight-and-narrow; and the role Adam West was born to play…Batman in Frank Miller’s Dark Knight Returns . Oh, and I’d be remiss if I didn’t mention Mr. West’s hosting of the Mystery Science Theater 3000 Turkey Day Marathon…which included a certain film, Zombie Nightmare , featuring…Adam West. Adam West, you were an absolute treasure, and you’ll be missed. So long, Adam. Rich Buckler (1949 – 2017). 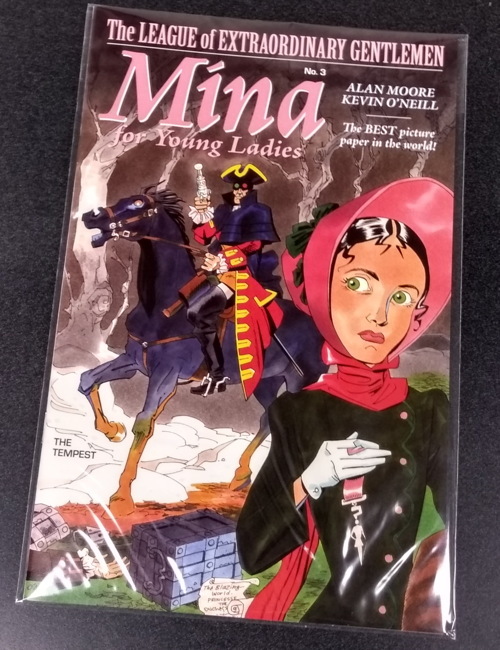 In fact, Buckler drew a lot of comics around that time that made quite the impression on a Young Mike still trying to figure out this whole funnybook thing. 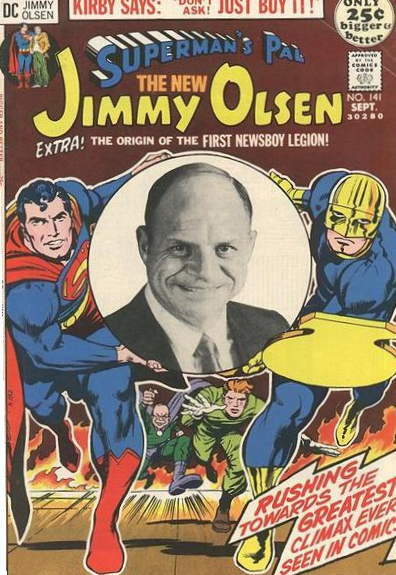 I particularly enjoyed All-Star Squadron , another book he worked on. My condolences to his family, friends, and fans. So long, Rich.